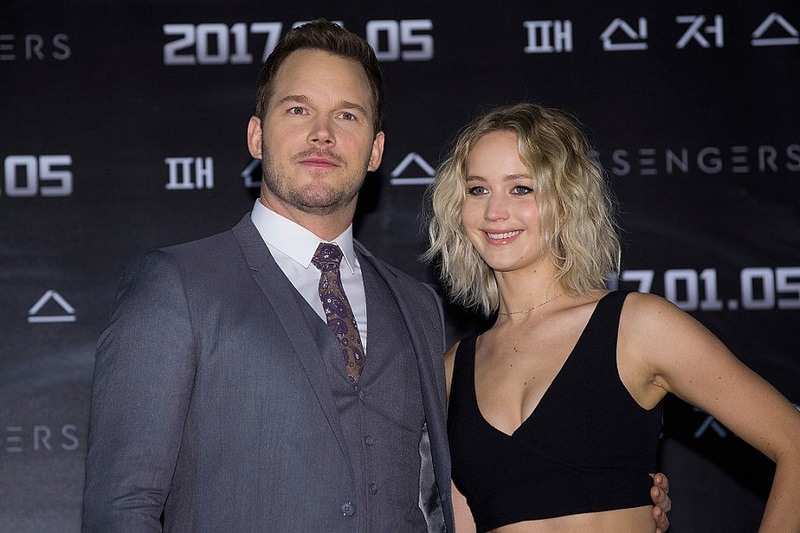 The 2016 film Passengers put the movie’s stars in the spotlight in a way neither expected nor wanted — specifically, rumors swirled that Chris Pratt and Jennifer Lawrence were having an affair, and that it’s what eventually broke up Pratt’s marriage with Anna Faris (even though there was literally zero evidence of this). Now Lawrence’s latest film, Red Sparrow, will be coming out on March 2nd, and she’s in full press tour mode. And during an interview with KISS UK, the rumor came up yet again. Lawrence also set the record straight about another romantic rumor she’s heard about herself. "At one point I was just like, dating Brad Pitt. We were having, like, secret rendezvous," Lawrence said, laughing. Let this serve as a reminder that speculation about other people’s personal lives can be awkward at best and genuinely hurtful at worst. However, we’re glad that Lawrence is addressing all this head on and standing up for herself (not that she should have to). Go, girl!